Mike Tynan, one of the most experienced figures in the UK nuclear industry, took up his new position as chief executive of the Nuclear AMRC in July. We asked him for his views on the industry. Could you introduce yourself and your background in nuclear? My career in the nuclear industry goes back to 1975 when I joined BNFL as an assistant clerk on a first generation Magnox Power Station at Calder Hall. My first general management appointment came in 1993 as head of facilities for BNFL Sellafield, responsible for the site infrastructure, estates and services with a team of 1750 people. That was followed by a senior role with responsibility for waste management plants at the same site. I moved to the Westinghouse nuclear fuel manufacturing site at Springfields, near Preston, in 2004 to manage the transition of site ownership to the NDA. I established Springfields Fuels Ltd as the site licence company, and went on to integrate Westinghouse’s UK fuel business into Toshiba. With an eye to the nuclear renaissance, Toshiba established Westinghouse UK in 2008 to develop its business for new build, nuclear fuel and services. I was appointed CEO, and led that business for five years. And now I’m here at the Nuclear AMRC for what promises to be an exciting new chapter in my career. What do you see as your role at the Nuclear AMRC? My role here is to provide leadership for the team and help develop the full potential of the centre for its customers and stakeholders. My definition of leadership is to create a pathway to a successful future – and within that, to ensure this business earns a valuable and trusted reputation for being safe, focusing on its customers, caring for its people and delivering a quality service. The UK new build programme hasn’t progressed as much as hoped in the past few years. How do you see the prospects? The global economic recession badly impacted the ability of potential utility developers to access financing: the up-front costs are just too large for developers on their own. Third party investors are needed to help finance a nuclear new build project, and they are a challenge to find. Certainty around future revenue from electricity sales is critical to the business plans for new build schemes and, with the future price of electricity unknown, investors are not attracted to the opportunity – hence the strong focus on electricity market reform and strike price negotiations with the government. This also needs to be matched by some form of risk sharing, and the recent announcement about infrastructure guarantees is welcome. My personal view is that EDF will soon reach a strike price with the government for Hinkley Point, and that this will be the catalyst for other developers to move forward. I believe it is only a matter of time before we see the beginnings of the new nuclear fleet in the UK. What are the main opportunities for UK manufacturers in the nuclear sector? The opportunities lie across the global civil nuclear industry. At home, there are particular opportunities in the existing fleet of 17 operational nuclear reactors, the decommissioning and clean-up of redundant nuclear facilities, and the potential new generation of nuclear reactors. 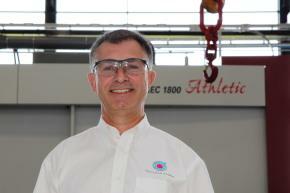 The opportunities range from bespoke solutions for high integrity components, welding, and NDE in the operating fleet; innovative design and manufacture of robust retrievals, conditioning and storage systems for a wide range of irradiated materials in the clean-up business; and a significant amount of work in both the nuclear island and balance of plant for new nuclear stations. The Nuclear AMRC can help link suppliers to these opportunities through programmes such as Fit For Nuclear and Nuclear Connections. Perhaps the biggest challenge facing UK manufacturers is the need to develop the capability to meet safety, quality, and cost standards, in the face of competition from overseas and particularly from the developers’ home markets – not only for new build but also in the existing fleet and decommissioning. Maintaining a skills base for the long term in the face of increasing pressure on cost performance is a major challenge, as is the ability to actually win work through increasingly robust procurement processes. And there’s the challenge of finding the funds to invest in research and development of new and existing products to maintain industry attraction. 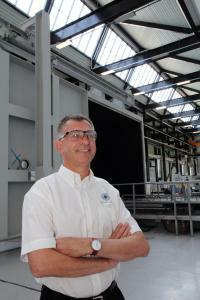 How can the Nuclear AMRC make an impact in industry? The biggest impact from the Nuclear AMRC will come from its ability to bring new and innovative solutions to clients. We can use the centre’s depth of research knowledge to help positively differentiate UK manufacturers in the areas of safety, quality and cost. We can form unique alliances with developers, top tier manufacturers, government, sector skills bodies, research and development groups and site owners; assess competence in potential suppliers and help them close any gaps; and provide access to world leading technology for advanced manufacturing, plus the skills and training that goes with such technology. We can make a valuable contribution to UK manufacturing across the lifetime of nuclear plant. Finally, what’s your key message for manufacturers interested in the nuclear sector? The UK has a vibrant civil nuclear industry, and a new generation of nuclear reactors will be built here. The technology will be diverse, and there is likely to be at least three sites under development in the next six years. The ability to meet safety, quality and cost standards will be vital if UK manufacturers want to compete against overseas industries. You also need a clear focus on the value that manufacturers bring to clients, and innovation will be at the heart of this value. Get involved with us, and make sure you’re on the radar with the right people to be in the running. The government is backing the Nuclear AMRC and working with industry to help realise its ambitions. 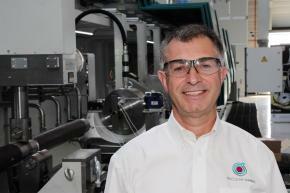 I want to see the UK manufacturing industry grasp every opportunity that it can within this global market. 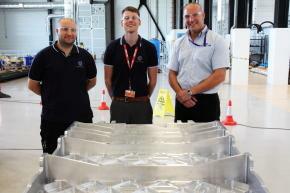 The Nuclear AMRC’s machining experts have made the most complex and high-value machined part for the Bloodhound supersonic car – the diffuser floor, which made its first public appearance at the Goodwood Festival of Speed. The diffuser floor is the largest of seven parts made by the Nuclear AMRC for Bloodhound’s rear sub-frame, the assembly that holds the car’s rocket engine in place and provides vital stability. Each part had to be machined from a solid block of aerospace-grade aluminium, to precise specifications, with no room for mistakes. The diffuser floor measures about one metre square, and features a complex pattern of latticed pockets on the top side, with an aerodynamically sculpted reverse. It will sit beneath Bloodhound’s hybrid rocket engine, and provide the downward force to keep the car on the ground as it reaches 1000mph. 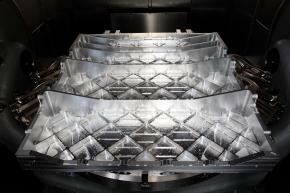 Creating the diffuser floor demanded a total 192 hours of machining time on the Nuclear AMRC’s Hermle C60 U MT, spread over several months between industry research projects. Key stages of machining were caught on a time-lapse video camera, providing a unique view of the production process. The finished part contains just one ninth of the metal in the original 480kg aluminium billet, with a final weight of 55kg. At its thinnest, the floor is just 5mm thick. 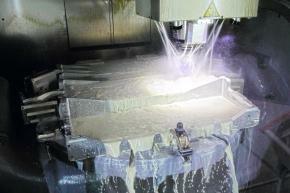 The machining was managed by Mathew Challinor, NC programmer at the Nuclear AMRC. Advanced machine tool operator Andrew Smedley handled work on the Hermle, and Matt Reaney completed the floor’s side walls and pockets on the Starrag HEC 1800 horizontal boring centre. With a positional accuracy of less than five microns, the Hermle’s precision was vital to getting the part right first time. The Hermle also features an on-machine probe, allowing Challinor to measure features and compare the real part to the design as cutting progressed. On the face of it, the Bloodhound parts are very different to the large components that the Nuclear AMRC machining group usually works on for industrial partners from the energy sector. The Nuclear AMRC was also visited by a government delegation from the Northern Cape region of South Africa in July. The visitors are responsible for preparing the Hakskeen Pan desert race track where the Bloodhound team will attempt to break the world land speed record in 2015. The car will carry the Nuclear AMRC’s logo, providing a global showcase for British manufacturing excellence.